LAS VEGAS, NEVADA, UNITED STATES, October 25, 2018 /EINPresswire.com/ -- Henderson, NV, October 25, 2018 ALLPENNYSTOCKS.COM has become the clear choice of North American Investors looking for the next penny stock winner. ALLPENNYSTOCKS.COM pro is where to find them all. 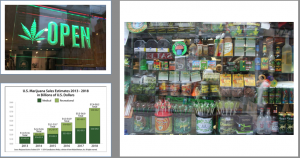 Today we are reporting on the next potential MJ company, Zonzia Media, Inc. (OTC: ZONX), ZONZIA MEDIA, Inc.
ZONZIA MEDIA, Inc. as per company sources the company is on its way to enter the lucrative marijuana market. American Cannabis is a Potential $90+ Billion Market as per Jonathan Cooper. According to https://twitter.com/zonziacannabis the board had a meeting to discuss the following, Cannabis Infuse Beverages, Edibles, Dispensary, Cannabis Production and Company Name Change. 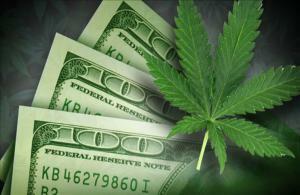 The marijuana market provides different ways for companies to monetize on. 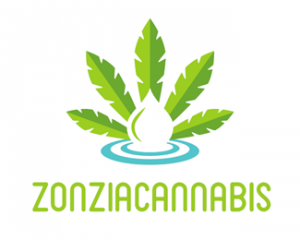 ZONZIA MEDIA, Inc. as per https://twitter.com/zonziacannabis twitter is currently undergoing a restructuring phase. The company updated their share structure via their TA https://www.otcmarkets.com/stock/ZONX/security. The Company currently has over $400k in assets, this assets can attract several buyers. In conclusion we believe Zonzia Media, Inc. is setting itself up for success by entering a new explosive industry with massive potential. As per sources the company is already working on a infuse beverage product. Never invest in any stock featured on our site or emails unless you can afford to lose your entire investment. Employees are not registered as an Investment Adviser in any jurisdiction whatsoever. The disclaimer is to be read and fully understood before using our site or joining our email list. None of the materials or advertisements herein constitute offers or solicitations to purchase or sell securities of the companies profiled herein and any decision to invest in any such company or other financial decisions should not be made based upon the information provide herein. Instead ALLPENNYSTOCKS.COM strongly urges you conduct a complete and independent investigation of the respective companies and consideration of all pertinent risks. ALLPENNYSTOCKS.COM does not offer such advice or analysis, and ALLPENNYSTOCKS.COM further urges you to consult your own independent tax, business, financial and investment advisors. Investing in micro-cap and growth securities is highly speculative and carries and extremely high degree of risk. It is possible that an investor's investment may be lost or impaired due to the speculative nature of the companies profiled. Any statements that express or involve discussions with respect to predictions, expectations, beliefs, plans, projections, objectives, goals, assumptions or future events or performance are not statements of historical fact may be "forward looking statements". Forward looking statements are based on expectations, estimates, and projections at the time the statements are made that involve a number of risks and uncertainties which could cause actual results or events to differ materially from those presently anticipated. Forward looking statements in this action may be identified through use of words such as "projects", "foresee", "expects", "will", "anticipates", "estimates", "believes", "understands", or that by statements indicating certain actions "may", "could", or "might" occur. Understand there is no guarantee past performance will be indicative of future results. In preparing this publication, ALLPENNYSTOCKS.COM has relied upon information supplied by its customers, and press releases which it believes to be reliable; however, such reliability cannot be guaranteed. Investors should not rely on the information contained in this website. Rather, investors should use the information contained in this website as a starting point for doing additional independent research on the featured companies. The advertisements in this website are believed to be reliable, however, ALLPENNYSTOCKS.COM and its owners, affiliates, subsidiaries, officers, directors, representatives and agents have not completed any due diligence or research on the companies advertised herein and disclaim any liability as to the completeness or accuracy of the information contained in any advertisement and for any omissions of materials facts from such advertisement. ALLPENNYSTOCKS.COM is not responsible for any claims made by the companies advertised herein. ALLPENNYSTOCKS.COM may receive compensation and they, its employees and/or affiliates may own stock that they have purchased in the open market either prior, during, or after the release of the companies profile which is an inherent conflict of interest in ALLPENNYSTOCKS.COM statements and opinions and such statements and opinions cannot be considered independent. ALLPENNYSTOCKS.COM reserves the right to buy and sell shares of the profiled company on the open market before, during or after the release of the company profile. In such an event, ALLPENNYSTOCKS.COM will not update its disclaimer to reflect any shares bought or sold on the open market during the profile coverage. ALLPENNYSTOCKS.COM and its management may benefit from any increase in the share price of the profiled companies and hold the right to close positions they have entered into at any given time including before or after the release of the companies profile. In accordance with Section 17(b) of the Securities Act of 1993, you are hereby advised that ALLPENNYSTOCKS.COM is receiving a fee of up to one thousand dollars via electronic transfer from a non-affiliated third party as compensation for the distribution of this advertisement. ALLPENNYSTOCKS.COM does not accept compensation in restricted or free-trading shares for its marketing services of the company being profiled. However the third party that has compensated ALLPENNYSTOCKS.COM may hold free-trading shares of the company being profiled and could very well be selling shares of the company’s stock at the same time the profile is being disseminated to potential investors; this should be viewed as a definite conflict of interest and as such, the reader should take this into consideration. If ALLPENNYSTOCKS.COM ever does accept compensation in the form of restricted or free trading shares of the company being profiled and decides to sell these shares into the public market at any time before, during, or after the release of the companies profile our disclaimer will be updated accordingly reflecting the position of those free trading shares received as compensation for our services at the time our promotional material is released to the public, as well as information on our intention to sell these shares during the promotional period or thereafter.